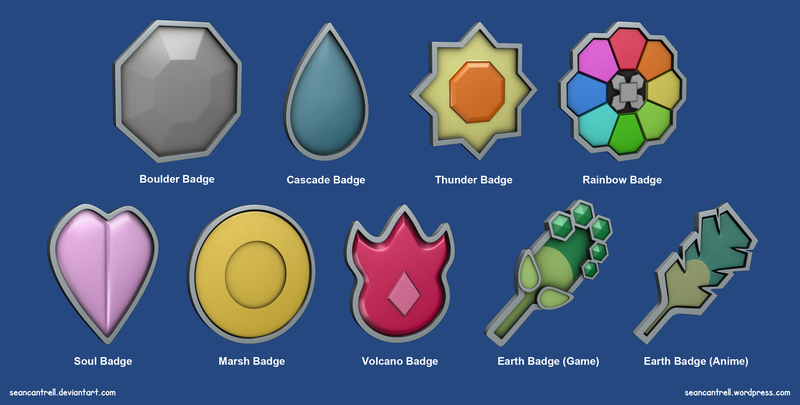 I modeled out the 8 badges from the Indigo League. Later in the series the badges get a kind of border around them so I wanted to add that to these badges so they all look the same. The Earth Badge has a different look in the anime compared to the games.